Despite the weather, thousands of people visited the Fullerton Station on May 6 and 7 for Railroad Days. This free, family-friendly event celebrated all things train with special equipment on display, exhibits, tours, vendor booths, and more. 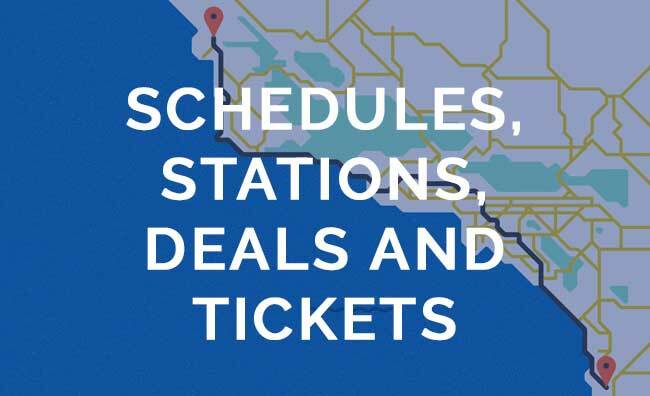 Amtrak joined in on the fun by offering a special Railroad Days deal, where one child (ages 2-12) could ride the Pacific Surfliner to and from the event for free with a paid adult. Historic Santa Fe 3751 Steam Locomotive: Originally built in the 1920s, this 874,346-pound steam locomotive has been beautifully restored. The crowd favorite made a special trip from Los Angeles for the event. Vintage Train Cars: The Fullerton Train Museum had five railcars from as early as 1929 on display. C.K. Holliday Locomotive #1: This 23,000 pound steam locomotive was modeled after Walt Disney’s own Lilly Belle, a one-eighth scale locomotive kept in his backyard. It was there back in 1955 when the Disneyland Railroad debuted! Model Train Layouts: Attendees browsed more than 13,000 square feet of model train displays from a dozen organizations. Learn more about the event at fullertontrainmuseum.org. We hope to see you there in 2018! Be sure to follow us on Facebook or subscribe to our blog to learn about other fun events. We are staying at the gas lamp district and are headed to Fullerton. Which train station should we depart from? Sorry for the delay in responding to you. If you are staying at the Gaslamp District, you’d probably want to board at the Santa Fe Depot – which is located off Kettner Blvd. You can take the trolley or walk from the Gaslamp District. The Fullerton Station is located next to a bunch of great restaurants and shops. We hope you have a great time!